Where coastal redwoods overlook the valley, and breathe-taking views inspire, you’ll find some of the Bay Area’s best local climbing at Castle Rock. As with other parks and forests, human visitors make a mark. 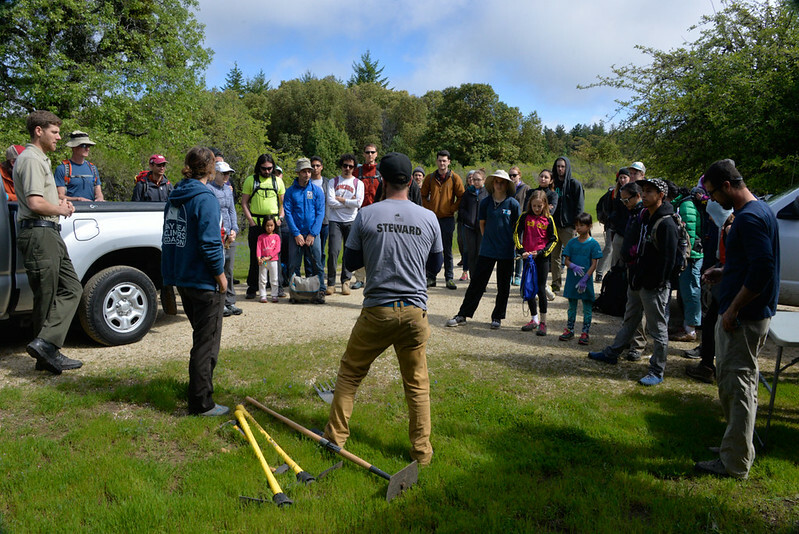 Nature has knack for bouncing back on its own, the Bay Area Climber’s Coalition (BACC) helps to restore it, at Castle Rock and other local crags. In April, it was Castle Rock’s turn to benefit from an Adopt-A-Crag event. An outstanding turnout of 40+ volunteers worked hard to clear trash, remove graffiti from cave walls, and repair and replace damaged fences and signs. 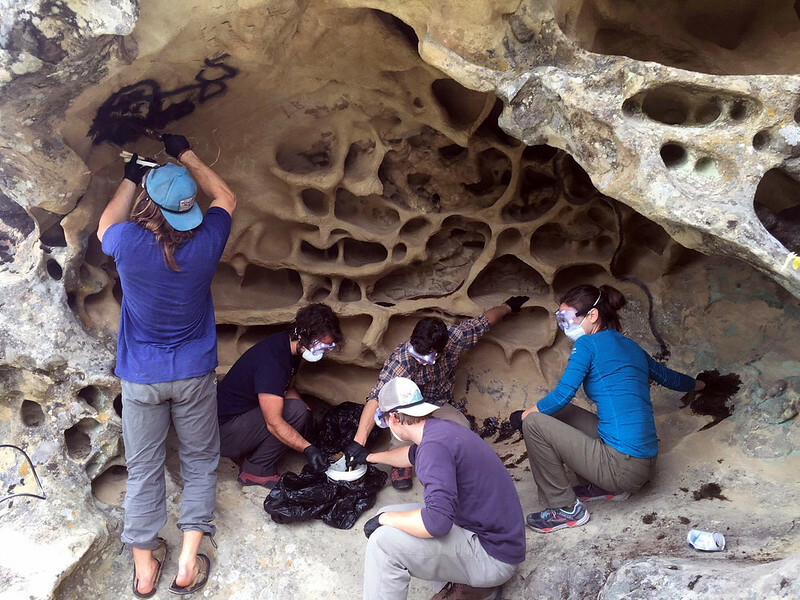 Above, PG San Francisco’s Lead Supervisor, Joey Paris is pictured working to remove graffiti from cave walls. 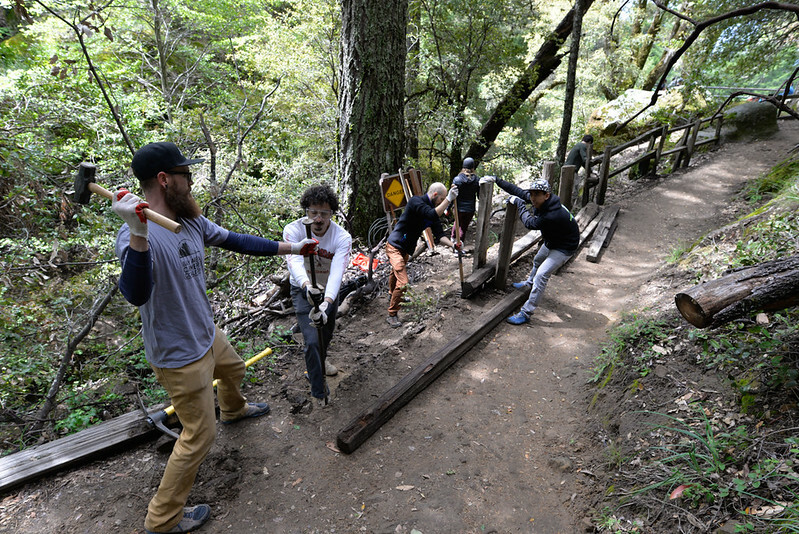 Eager to get in on the group effort, PG San Francisco’s Lead Supervisor, Joey Paris and PG Belmont’s Assistant manger, Simon Hill stepped up to help restore Castle Rock to its natural beauty. Above, PG Belmont’s Asst. Manager, Simon Hill, works with BACC’s Matt Ulery. 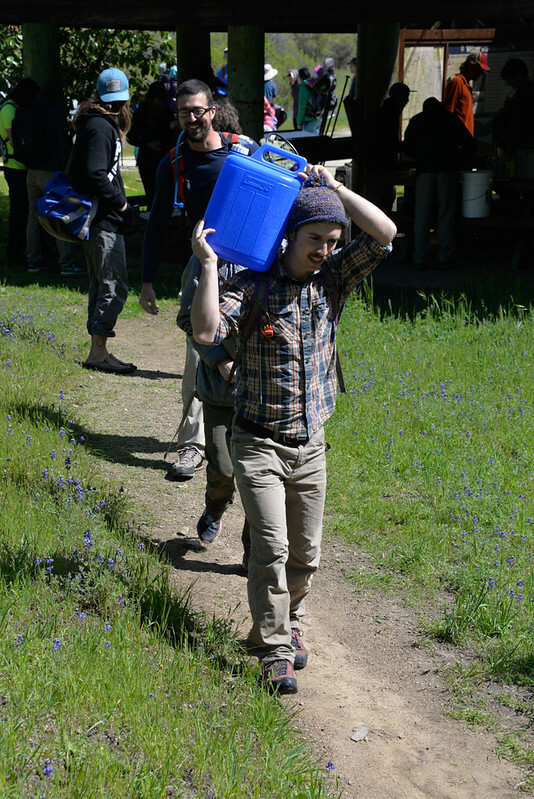 The BACC’s mission is a worthy one: they seek to keep public access to local spots open for crag enthusiasts to enjoy, and they clean and maintain trails. Alas, keeping public access is not free–it takes sweat and donations. The best way to ensure open access to climbers is by educating visitors on good crag etiquette and stewardship. A big thank you to the BACC and all of the volunteers who came out to support the cause! Missed this last Adopt-A-Crag? Great news: you can still be involved! On May 22nd, the BACC is hosting an Adopt-A-Crag for Indian Rock. The event will include Boulder Creek pizza for lunch and a demonstration of the climbing accessory, Whipper performance tracker. And of course, plenty of time to climb after the clean-up. Bring your own ropes and climbing gear and be ready to crush after clean! Spots are filling quickly, so register soon and save the date!